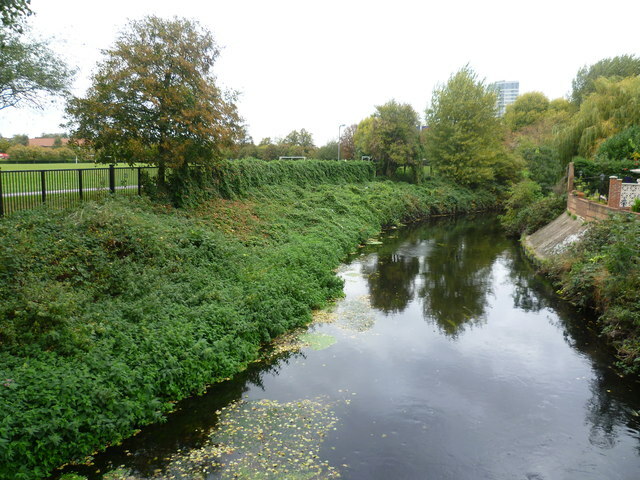 This is the River Wandle between Earlsfield and Wandsworth. King George's Park is on the left, whilst on the right are the back gardens of the houses in Twilley Street. River Wandle, Why is it split in two? My thoughts on this is that at times of high water flow, the centre barrier helps turn 50% of the water, rather than 100% of the water riding up onto the outside of the turn and overflowing. Similar design is used for airflow through airducts. Tell me though, does the divider exist only on the turns, or is it furtehr along the straight sections. Interesting!!!!!!!!! !